Real Madrid vs. Barcelona “Clasico” in Miami this summer? Not so fast. 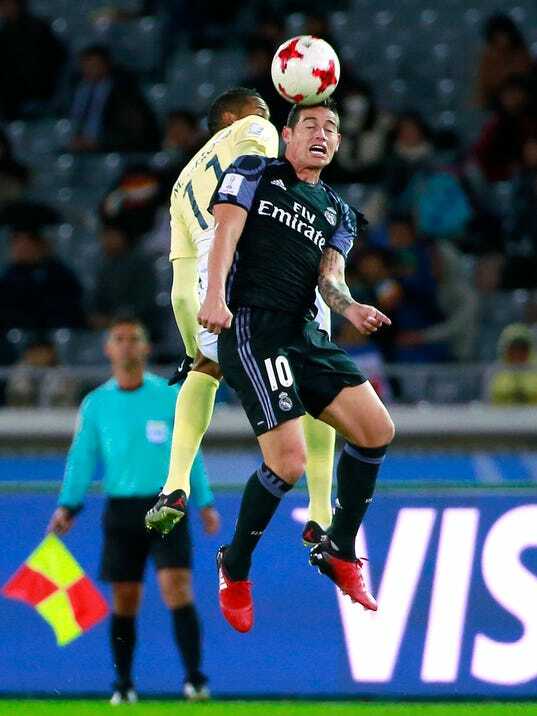 YOKOHAMA, Japan (AP) — Karim Benzema and Cristiano Ronaldo scored a goal each to help Real Madrid beat Mexican side Club America 2-0 Thursday to advance to the Club World Cup final.